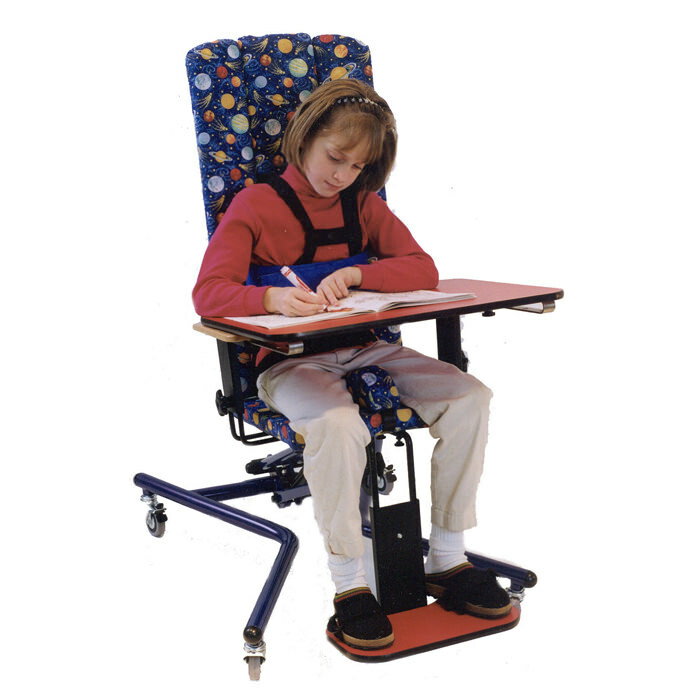 Real design updown chair is designed for children from 5 to 14 years old (43" to 63" in height) and provides optimal positioning and sitting comfort with ease of adjustment. 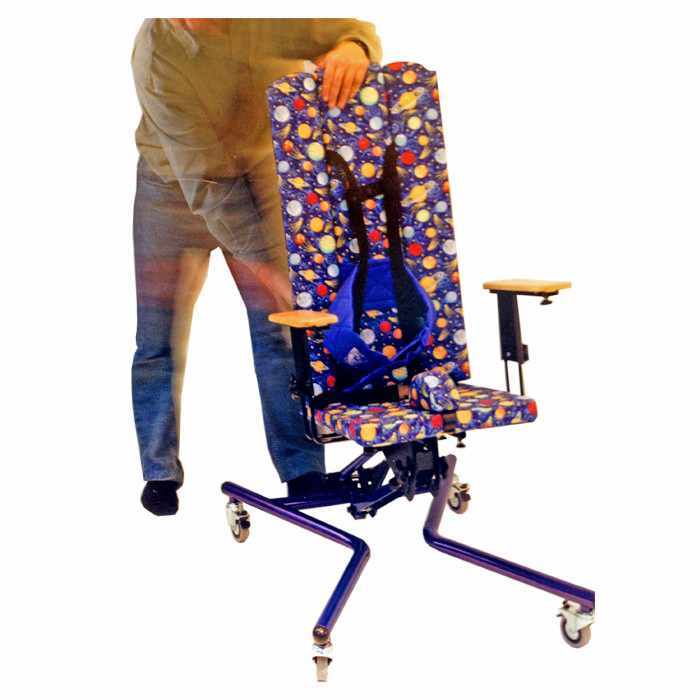 Updown chair can quickly and safely change seat height from 12" to 26" from floor with the help of exclusive foot lever action which uses a pneumatic cylinder assist Updown chair allows children to elevate to the right position for floor or table top activities. Tray dimensions 19" x 27"
Floor to seat height 12" - 27"
Seat depth 9" - 16"
Manufacturer warrants this product for One year from the date of purchase to the original purchaser. This warranty covers defects in material and workmanship only and manufacturer will repair or replace the product at its own discretion. Damage from normal wear and tear. Damage from improper installation or repair by unauthorized personel. The warranty is VOID if the unit sustains damage from unnatural causes. The warranty is VOID if the original serial number tag is removed or altered. The warranty is VOID if the unit is modified without manufacturer's written consent. Product may be returned in new, re-saleable condition within 30 days of the receipt of product. All returns must be authorized by manufacturer under proper Return Authorization Number (RA#), unauthorized returns will not be accepted. All returns must be shipped prepaid in original carton and packing materials for safe transport. Please carefully repack the products in their original packaging so they are secure and tight inside the box. Utilize any plastic bags that came with your order - they protect items from vibration during shipping. Manufacturer will refund the original purchase cost (less shipping) without any re-stocking fee if returned within 30 days in new, re-saleable condition. Products returned after 30 - 90 days are subject to a 25% restocking fee. Manufacturer will not accept returns after 90 days from the date of purchase. A refund will not be given on merchandise that is lost by the carrier.